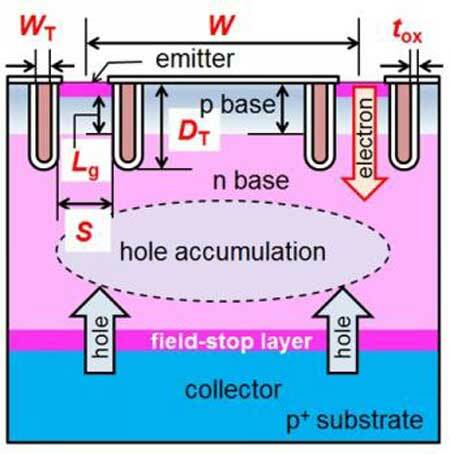 Researchers demonstrate operation energy-savings in a low price silicon power transistor structure by scaling down in all three dimensions. 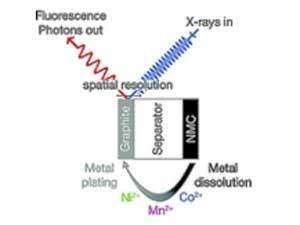 Strong signs of quantum spin liquid observed in YbMgGaO4 crystals by neutron scattering off ytterbium electrons. 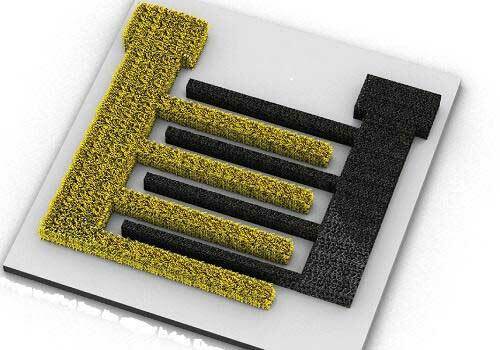 Researchers have developed a microsupercapacitor that exploits three-dimensional porous electrodes. These micropower units are expected to enable a new generation of 'smart' products, such as self-powered sensors for wearables, security, structural health monitoring and internet-of-things applications. The addition of a few nanometers of a thin layer of aluminum oxide protects a perovskite solar cell against humidity - still a major stumbling block to the commercial application of this new type of solar cell. Using advanced X-ray spectroscopy of battery electrodes under operating conditions has provided new insight in the process responsible for capacity fading of Li-ion batteries. 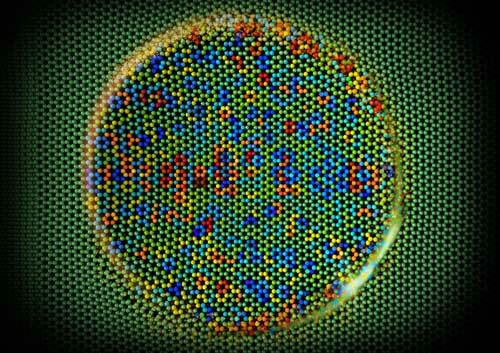 Researchers found that in contact with monolayer graphene, friction is higher than in case of multi-layered graphene or graphite. 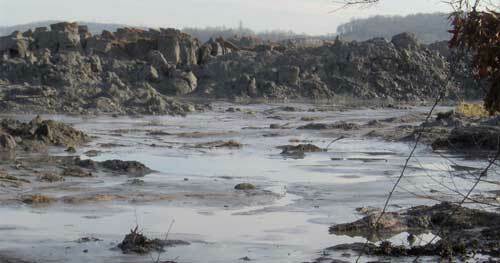 Moreover, friction force increases for continued sliding. 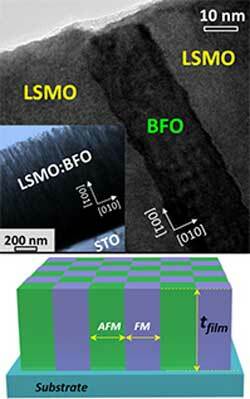 Unique magnetic coupling found in vertically aligned nanocomposite films shrink devices and let them withstand higher temperatures. 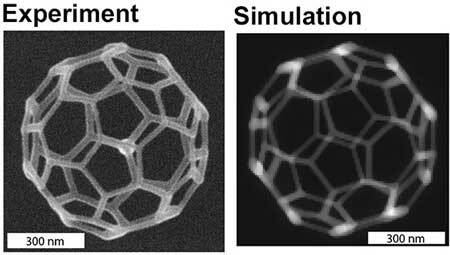 Using DNA linkers to form cages for nanoparticles redefines the rules for assembling nanoparticles. 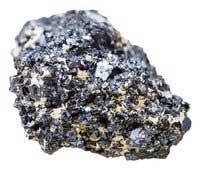 Self-healing diamond-like carbon coating could revolutionize lubrication. 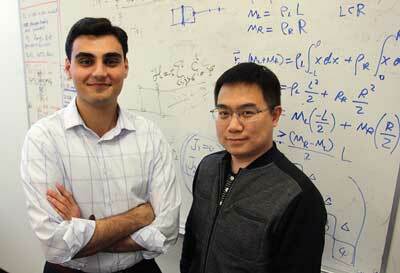 Electron beam controllably builds micro- and nanoscale structures, enabling new three-dimensional materials. 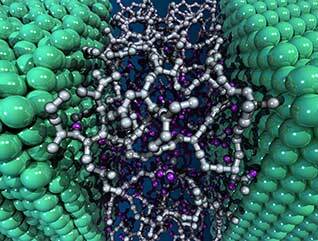 In nanotechnology control is key. 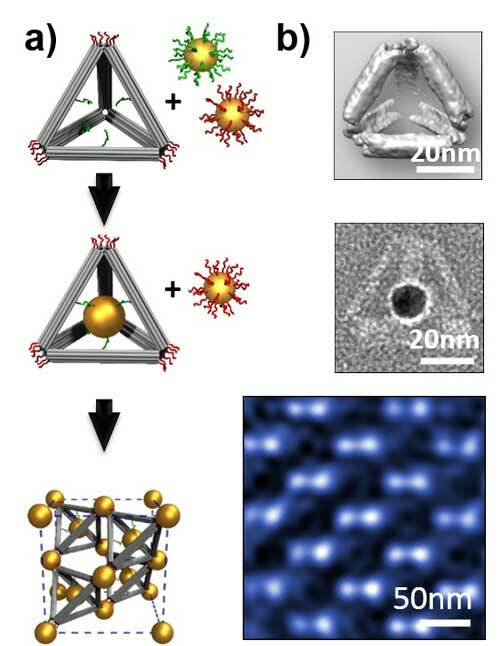 Control over the arrangements and distances between nanoparticles can allow tailored interaction strengths so that properties can be harnessed in devices such as plasmonic sensors. 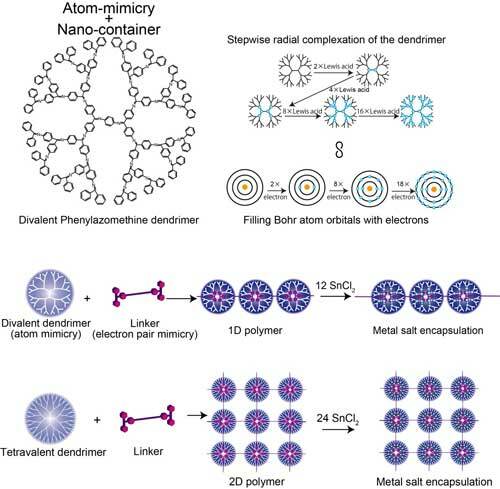 Now researchers use dendrimers that mimic the electron valency of atoms and link them into arrays using molecules that coordinate with the dendrimer as they would form a covalent electron pair in their valence shell - 'electron pair mimicry'. Researchers have succeeded in measuring tiny changes in strong magnetic fields with unprecedented precision. 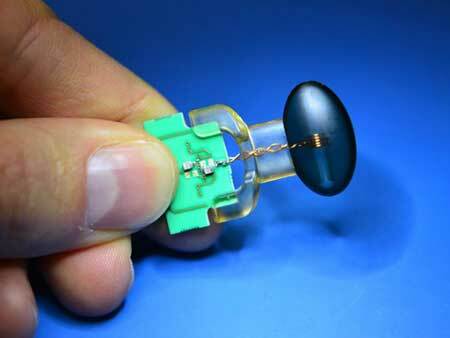 The researchers were able to detect even the tiniest variations of the magnetic field strength within the droplet. These changes were up to a trillion times smaller than the seven tesla field strength of the MRI scanner used in the experiment. A student engineer from the University of Sussex has won a national car industry award for designing a new battery that could revolutionise electric vehicles. Physicists have published new findings examining the electrical properties of materials that could be harnessed for next-generation transistors and electronics. 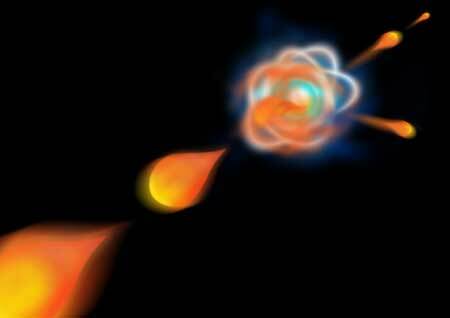 Mapping the interaction of a single atom with a single photon may inform design of quantum devices.